We appear to be experiencing issues with Paypal at this time. You can continue to add your child's data into our on-line registration system but you will have to submit payment by e-transfer, or at the office by cheque or cash. There is drop box at the bottom left-hand side of our door. We apologize for the inconvenience - we are attempting to work with Paypal on this issue. St-John Ambulance is running this first aid course for interested individuals 13 years of age and up. It will be held at the Dragons office on June 22 from 9:00 a.m. to 5:00 p.m. at a cost of $147 per person. Click here for information on how to register - Maximum 18 people. This program is for players born in 2011 and 2012 who are registered for the regular Friday night program. For more details and how to register, click here. Ready for another great season of 100% fun soccer? For general registration information, click here. This is a good time to remind everyone that we are always in need of coaches and assistant coaches for our teams. If you would like to coach/assist your child’s team or know someone who may be interested, please complete the coaching application and return it to info@dragonsoccer.ca. Courses are offered free of charge to all coaches and assistants. For more information on becoming a Dragons coach/assistant, click here. To learn about the Coaching Incentive Program, click here. Fundamentals, Learn to Train, and Soccer for Life courses are now available - click here for all relevant information. The Gloucester Dragons are seeking a Director of Marketing and Community Relations to join the volunteer board of directors. If you are able to give some time to our soccer community and might be interested in this position, please send a brief biography to info@dragonsoccer.ca. To see the description for this position, click here. This award is presented each year to a volunteer who displays outstanding commitment and dedication to the Gloucester Dragons and to the community. This year's winner is Michel Beaulieu - congratulations and thank you Michel. To see a list of past winners, click here. 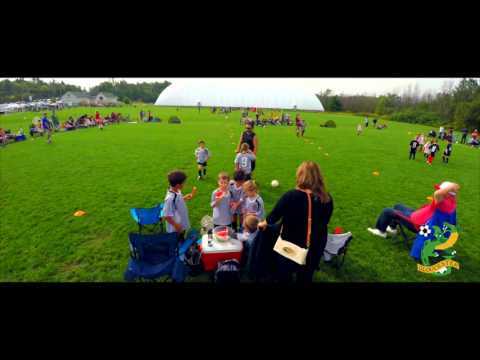 The Ottawa Gloucester Soccer Club is this year's recipient of Ontario Soccer's Club Development Award. The club was recognized for its match official mentorship program developed by our head referee Jason Gauthier. To see this year's winners and a list of previous award winners, click here. Congratulations to Carrisa Hawgood and Kate Sullivan, 2018 recipients of the Bob Moir Memorial Award. For details and a list of previous award winners, click here. Click here to see league and Soccer Day champions. NEW! DRAGONS WEAR NOW AVAILABLE AT HOULE SPORTS! Now you can show off your Dragons pride with some fun, stylish swag! View samples of our new ball caps, sweatshirts, T-shirts and sweatpants by visiting Houle Sports at their new location at 2055 Tenth Line Road in Orleans. To view a price list and items available, click here for the order form. DO YOU EVER WONDER HOW YOUR SOCCER EQUIPMENT GETS TO YOU? To see what's involved in getting your equipment to you, click here. 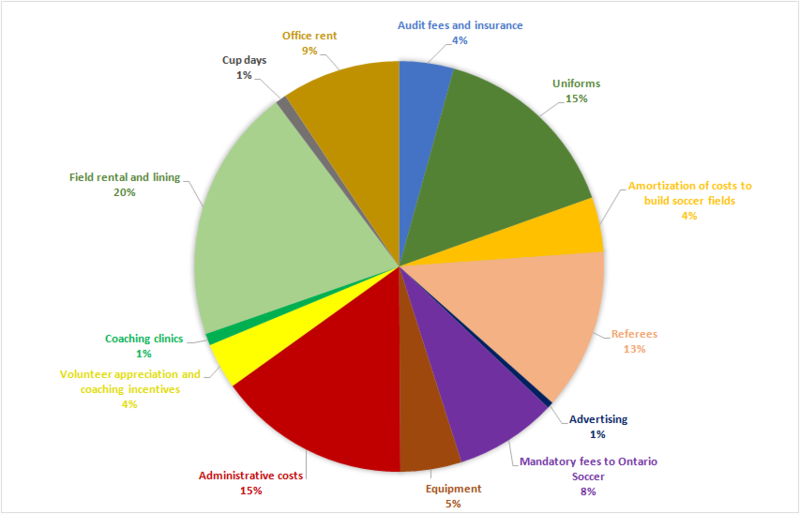 Here is what your registration fees are used for, based on the 2016-2017 audited financial statements. Every year, the Dragons collect gently used jerseys to send to children who are less fortunate. Click here to see great pictures. To find out about the benefits of playing with the Dragons, an Ontario Soccer member, click here. Since 2012, all City of Ottawa properties, including parks, playgrounds, sports fields, and outdoor areas around City facilities, have been smoke-free, 24 hours a day, 7 days a week. Please note this includes ALL forms of smoking including, water/hookah pipes, marijuana, and e-cigarettes.